Dr. Iskander of San Antonio Eye Specialists has relocated his ophthalmology practice and constructed a new building to bring San Antonio the latest in Eye Care. The state of ophthalmology has changed over the years, and the top ophthalmologists know they have to change with it. While change is sometimes as simple as keeping up to date with the latest technology and techniques, other times that’s simply not sufficient. Change can mean rebuilding your practice from the ground up and creating a whole new environment to keep patients at ease while visiting the eye doctor. That was the goal Nader G. Iskander, M.D. of San Antonio Eye Specialists, had in mind. 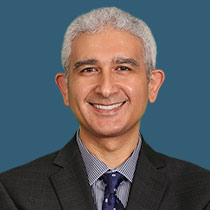 Recently, Dr. Iskander relocated his practice into a newly constructed state-of-the-art building, located at 2810 North Loop 104 West,Suite 200 and it was built from the ground up, giving the practice full control over creating an ideal environment for patients. “This new location was designed to give patients the best treatment possible in a warm and inviting atmosphere. Custom building the new location has allowed us to design and deliver a state-of-the-art eye center that specifically caters to the needs of our patients. It has allowed us to deliver an advanced ophthalmic facility that is truly something special,” said Dr. Iskander. The new building features a large number of fully equipped examination rooms with the latest state-of-the-art equipment. The vision correction laser suite contains five lasers allowing Dr. Iskander to customize the laser treatment to the best needs of his patients. The laser suite is also designed to allow greater control over environmental conditions and features panoramic glass so that families can view their loved ones having the LASIK procedure. There is also a minor procedure room that serves as a hospital-grade operating room, equipped with everything a surgeon needs to perform minor procedures in a safe setting. The new building is also designed with aesthetics in mind; it is intended to make patients as comfortable as possible. The reception area is designed to be relaxing and “spa-like”, with TV monitors, soothing music, and a beverage station. The practice even bakes fresh cookies for its patients. The new building is over 20,000 sq ft in total and San Antonio Eye Specialists encompasses the entire top floor, allowing patients to enjoy the view of the surrounding hills. San Antonio Eye Specialists specializes in LASIK vision correction and cataract surgery, but can handle nearly every aspect of vision care, including treating a wide variety of conditions such as dry eyes, pterygium and glaucoma. For more information, or to schedule an appointment with Dr. Iskander, call San Antonio Eye Specialists at (210) 822-9800, or visit http://www.mySAeyes.com.